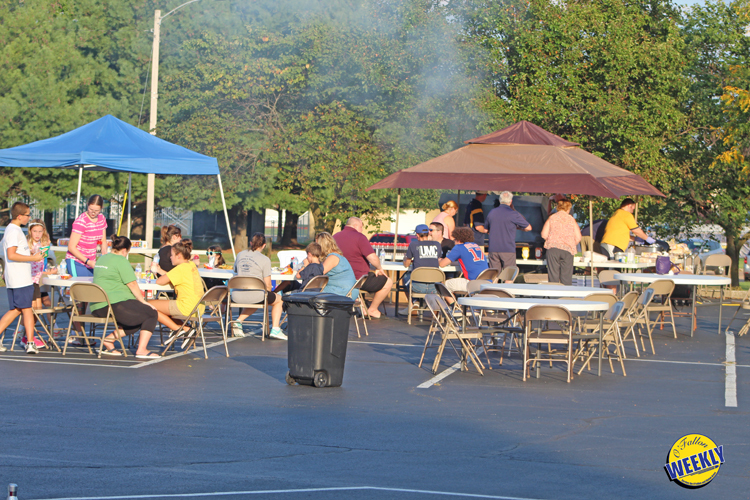 O’Fallon First United Methodist Church hosted its fourth annual tailgate party Friday, October 5, prior to O’Fallon Township High School’s homecoming football game against Alton High School. 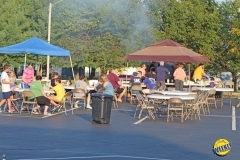 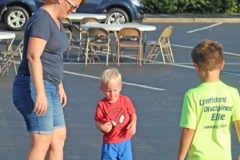 Members of the O’Fallon community and of the church enjoyed a free picnic dinner together in the church’s parking lot despite the heat and humidity. 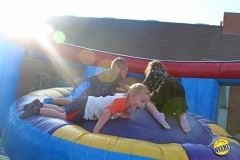 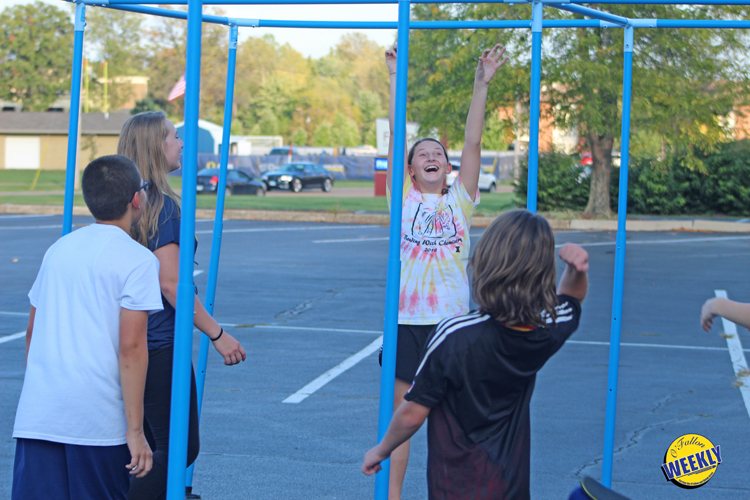 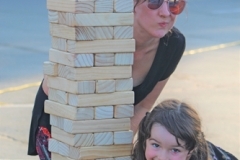 Games like Nine-Square, Jumbo Jenga, and Bean Bag Toss were a big hit for the teens and children, but what the little ones loved the most were the bounce houses, especially the pirate ship. 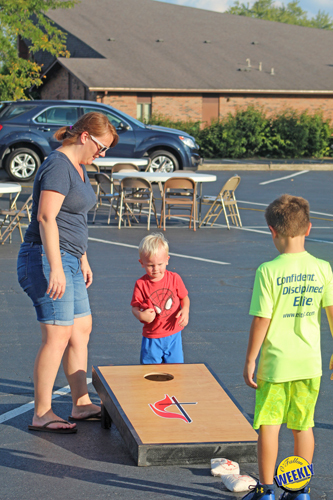 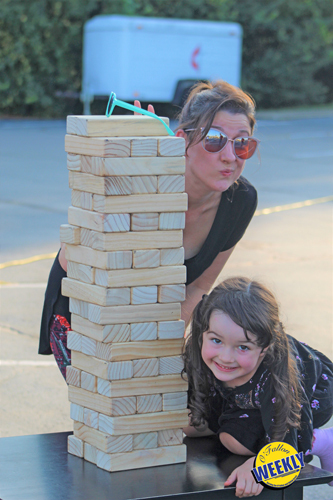 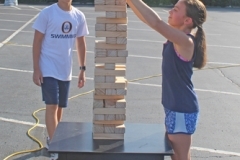 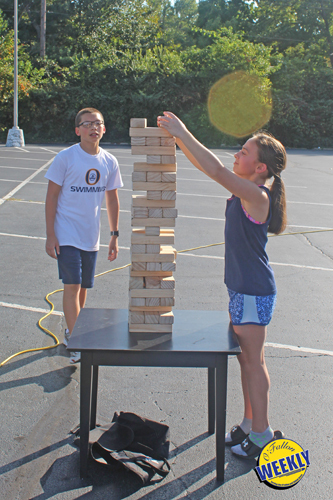 Members of O’Fallon First UMC greatly enjoyed hanging out with friends and new company, and they can’t wait to see what next year’s tailgate party brings.